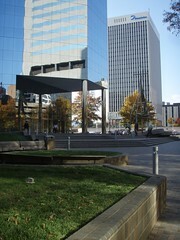 At the corner of South 9th Street and East Cary Street is the One James Center plaza. Area workers and residents are often seen congregating to enjoy a bite to eat or converse on a nice day. 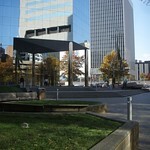 This plaza features several large bronze sculptures by Lloyd Lillie.